The 330D is a Ten (10) Mil Probe with a Hook Tip. 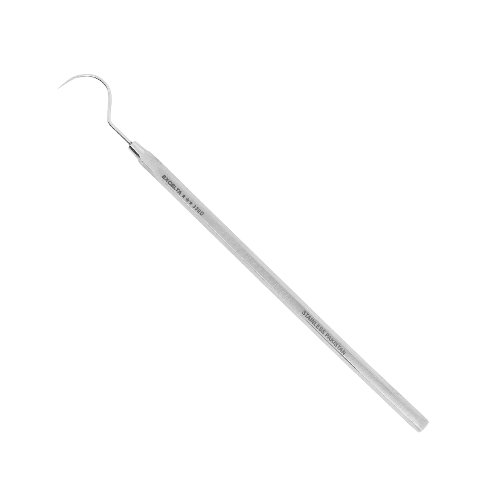 This probe is constructed with Stainless Steel, which provides corrosion and acidic resistance. The 330D is designed with a 0.5" hook radius. The 10 mil probes are the most popular probe size for general-use applications. The 330D measures 6" (152.4mm) in length with a 0.01" (0.25mm) Tip Size.